On November 16, the Supreme Court had deferred the matter to enable the counsel for the Maharashtra government to file a rejoinder affidavit in the case. New Delhi: The Supreme Court on Monday deferred till December 11 the hearing on the Maharashtra government’s plea challenging the Bombay High Court order by which the extension of time granted to the state police to conclude probe in the Bhima Koregaon violence case was set aside. A bench headed by Chief Justice Ranjan Gogoi said it wanted to see the “charges” against the accused and asked senior advocate Mukul Rohatgi, appearing for the Maharashtra government, to submit before it by December 8 the charge sheet filed by the state police in a special court in Pune. The Maharashtra government submitted to the Supreme Court that the charges against accused, Surendra Gadling and other persons are very serious and cannot be granted bail due to technicality. During the last hearing on November 16, a bench of Chief Justice Ranjan Gogoi, and justices SK Kaul and now-retired KM Joseph had deferred the matter to enable the counsel for the Maharashtra government to file a rejoinder affidavit in the case. The apex court on 29 October had granted time till 1 December to the Maharashtra Police to file the charge sheet in Bhima Koregaon violence case. A Pune special court, on the expiry of 90-day deadline for filing of the charge sheet on 2 September, had extended the time by another 90 days for filing the probe report in the case by taking note of the state police’s plea. The trial court decision was set aside by the Bombay High Court leading the state government to approach the apex court. The top court stayed the Bombay High Court order, which had set aside the lower court’s verdict allowing extension of time to police to file the probe report against the rights activists arrested in the case. The bench had issued notice to the rights activists on a plea of the Maharashtra government, seeking their replies within two weeks, and stayed the operation of the high court order. The bench stayed the order, paving the way for extension of time to file the charge sheet in the case. It had also issued notice on another plea of the Maharasthra Police challenging the Delhi High Court’s order quashing the transit remand in the case of activist Gautam Navlakha. 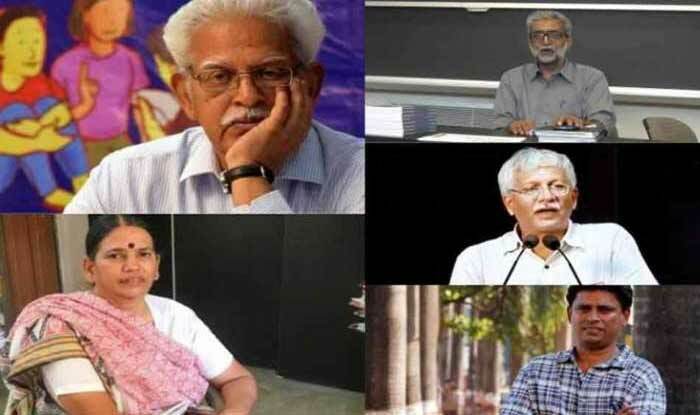 Earlier, the apex court had refused to interfere with the arrest of five rights activists by the Maharashtra Police in connection with the Bhima Koregaon violence case and declined to appoint a special investigation team (SIT) for a probe into their arrest. The arrests had followed raids at their residences and offices in connection with the Elgar Parishad conclave held in Pune on 31 December last year, which the police had claimed had led to violence at Bhima Koregaon the next day. In the present case, the Pune Sessions Court had granted the police the additional 90 days, following an application from the investigating officer (IO) and written submissions made by an assistant commissioner of police (ACP). Gadling had challenged this, saying the report and the submissions came from the police, not the prosecutor. Under the UAPA, the report should be filed by the prosecutor, he had said. The Maharashtra government’s petition filed in the apex court had said the IO had filed an application in the trial court under his signature, giving reasons for extension of time, on August 30. “On the very same day, the public prosecutor submitted her report/application, carving out the grounds for extension of time. The public prosecutor, by way of abundant precaution, took the signature of the investigating officer. “But the high court was carried away by the signature of the investigating officer and arrived at a conclusion that the report/application was not by the public prosecutor,” the plea had said. It had also said the high court should not have been carried away by the mentioning of names of the parties in detail. The trial court decision was set aside by the Bombay HC leading the state government to approach the apex court. The top court stayed the Bombay High Court order, which had set aside the lower court's verdict.